BACKGROUND: Patients with cancer are characterized by a profound impairment of glucose utilization, with lipids being the preferred metabolic fuel. In contrast, the energy needs of malignant tumors are almost entirely met by glucose. We therefore studied the effects of a high-fat diet, particularly on body composition. 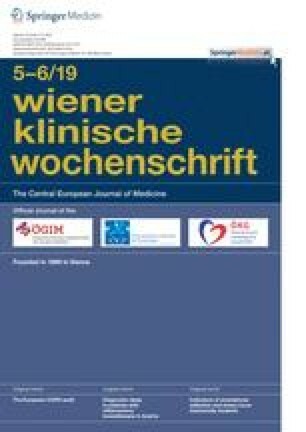 PATIENTS AND METHODS: Twenty-three moderately malnourished patients with gastrointestinal carcinomas were randomized to receive either a conventional diet supplying 35 nonprotein kcal and 1.1 g of protein/kg per day (group A, n = 11) or a fat-enriched artificial liquid diet (20 nonprotein kcal/kg per day) plus normal meals (group B, n = 12) for a period of eight weeks, i.e., from the first to the third chemotherapy cycle. The fat content of the artificial diet was 66% of the nonprotein calories. The day before the nutritional interventions, and again after four and eight weeks, body compartments were determined using bioelectrical impedance analysis, lymphocyte subpopulations were quantified using flow cytometry, and some aspects of the quality of life were rated using four linear analog self-assessment (LASA) scales. The statistical calculations were done as an exploratory data analysis. RESULTS: The consumption of non-protein calories did not differ significantly between the two patient groups. An average weight gain in group B contrasted with an average weight loss in group A after four (P < 0.01) and eight weeks (P < 0.05). Fat-free mass showed an intergroup difference in favor of group B after eight weeks (P < 0.05). Body cell mass was maintained throughout the study in group B, but declined significantly up to weeks 4 and 8 in group A (intergroup difference: P < 0.05 and 0.01, respectively). A decrease in the total lymphocyte count by 559 cells/μl occurred with the fat-enriched diet (P < 0.05). Several aspects of the quality of life were rated to be better in group B than in group A, although not all differences reached statistical significance. CONCLUSION: In patients with cancer, a high-fat diet may possibly support the maintenance of both body weight and body cell mass. However, monitoring the lymphocyte count is advisable.